Everyday marketeers and PR teams across the globe face new and exciting challenges in order to bring brands to life, with a striking image and video content leading the way to achieve this. Generating relevant, interesting and news worthy content is at the top of the to do list for any marketing and PR team faced with captivating an audience. However, the key component of this content and the thing that will literally make an audience stop and stare, is an eye capturing image to make them want to know more and click through. People want to see something they haven’t seen before, something different and intriguing to entice them into finding out more. 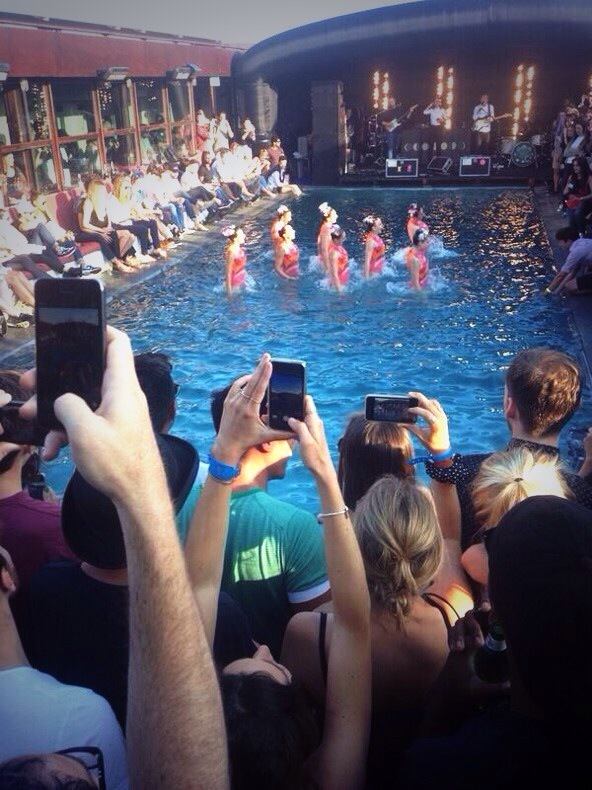 Images of Aquabatix have been picked up by the world’s most renowned media for clients such as Stella McCartney, The Berkeley Hotel and M&G at Chelsea Flower Show. From the main image on the front cover of The Times, Vogue and Conde Nast to the New York Times, our stunning images of synchronised swimming have reached media worldwide. 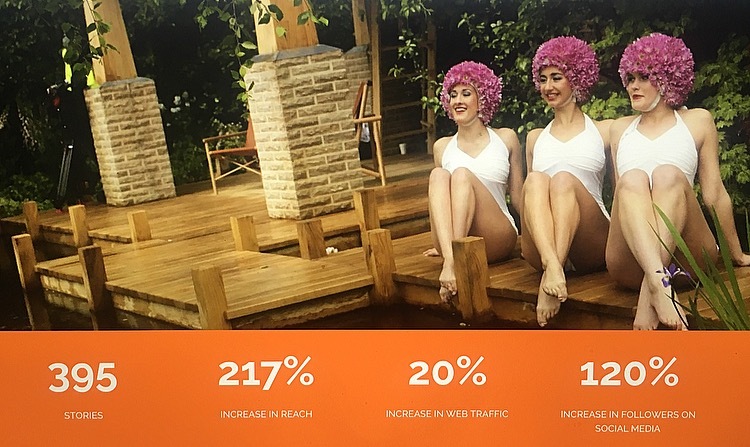 After images of Aquabatix went global from the Chelsea Flower Show, Kallaway produced statistics to show the reach and effect that it had on their audience engagement. Whilst live events have always been a key part of the marketing mix, they are becoming more and more vital in order to make people feel something about a brand, creating positive engagement and memorable experiences. Nivea’s Dare To Dip is an example of where a campaign fully immersed the public into a tank of water along with entertainment and interviews, filming it all to then put out as a video across mainstream media as well as online. When marketing a brand, live events tick many boxes as they establish a platform to create engaging content both during and after the event. Although live events vary dramatically in size, your reach is no longer limited to how many people attended your event, but how many people you can excite via your social media channels. Stunning, visual entertainment at events is key to creating unique photo opportunities and video content for your audience. People love to share visual evidence of new experiences which can transform a small physical event audience, into a huge virtual audience. If successful, a live event can turn your attendees into brand ambassadors, who shout about your brands message, sharing vital images and content on social media with all their friends.